Religion, as an institution of the society is supposed to be a solitary affair practiced within the context of the church, the mosque and shrine. These bodies are suppose to offer guide to the practitioners but the choice of adhering to the tenets of a religion or which religion to follow solely depends on the person. In Nigeria where we have an almost equal number of Christians and Muslims and a few traditionalists, religious freedom is guaranteed and our constitution recognizes Nigeria as a secular state. But its secular status was tested over the years with the implosion of religious intolerance in the north and its attendant effect of interfaith conflicts which have claimed thousands of lives and destroyed properties worth billions of naira. In addition to that and quite unfortunately too, religion is often used by desperate politicians for their selfish ends. For instance, the Sharia Law matter at the inception of the Fourth Republic Democratic dispensation, almost consumed the north. However, because it was not conceived in good faith by those leaders at that time, it died a ‘natural death’, as then President Olusegun Obasanjo postulated. Taraba, a North-Eastern State, has had its own fair share of religious crises and it is really a test ground of religious tolerance between the two major faiths- Christianity and Islam. Meanwhile, the State has a unique socio-religious pattern compared to its peers within the region. With a total of 16 local council areas, the state is composed of over 30 ethnic groups, intricately made up of families whose members practice either Christianity, Islam and Traditional African Religion. 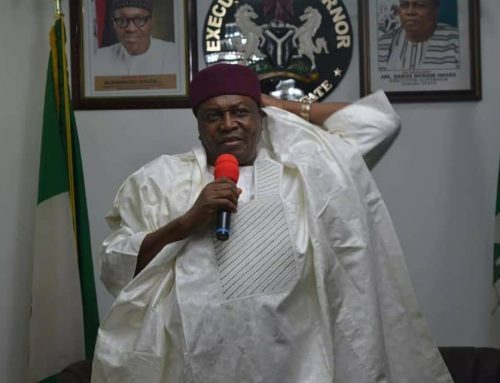 And unlike certain communities in most northern states where the dwelling pattern and mode of dressing is determined by the religion one practices, in Taraba these factors are instead, determined by one’s ethnic background. That is why communities like Mayo Gwoi, Magami, Sabon Gari and others within Jalingo the capital, harbour ethnic groups such as the Mambillas, Jenjos, Wurkum, Kona, Jukuns and so on, all living together and practicing different faiths without friction. Interestingly, in some Nigerian cities, one could find communities based on religiosity and so much intolerance among different religious adherents. 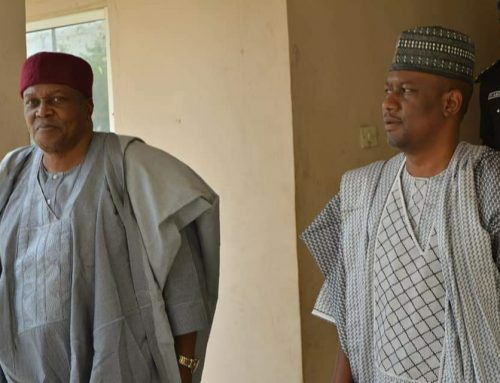 In Taraba the case is much different and to a lesser degree. In fact, there are cases of persons who crossed over from one religion to the other without any consequences. It is a normal daily occurrence and a way of life! 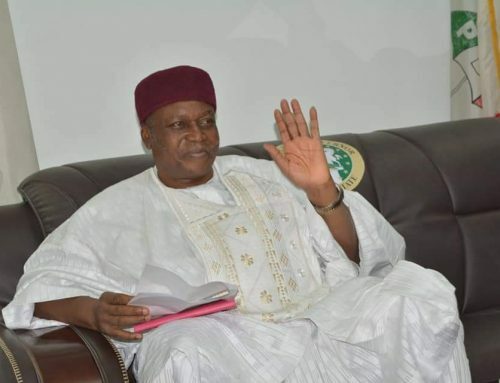 But sadly enough, Taraba is among those states in the north that has experienced religious upheavals between Christians and Muslims which has taken the state back on the wheel of progress. It happened in Jalingo- the state capital and almost all the administrations since 1999 experienced one crisis or the other, especially in southern Taraba. Wukari- the ancestral land of the Jukuns was once affected with close relatives fighting and killing each other. The Jukuns are known to hold their culture in high esteem. But it looks like the influence of Islam and Christianity on the people might have encroached into their culture which religion is part of it. For instance, during one of the cultural rituals in Wukari town which involved a procession, members of one of the major religions could not stand the ceremony, they saw it as an affront to their own practice and that led to a religious crises where casualties were recorded, properties destroyed and a huge humanitarian crises resulted. That was a big blow to the kingdom of the Jukuns which resulted to interventions by the traditional council. Speaking during one of the peace meetings in the aftermath of the crises, the paramount ruler of the Jukuns and Aku Uka of Wukari, Dr Shekarau Angyu Masa Ibi, Kuvyo 2, while regretting the conflict between his subjects, wondered why brothers would fight each other because of religion. 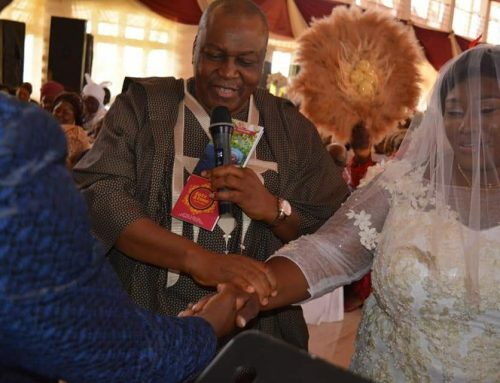 He described it as strange because of the legacy he had set in the traditional office where his staff are made up of Christians, Muslims and traditionalists. In line with this, one will agree that conflict between kith and kin could be caused by alien forces who do not share the true values of the community. That can also be said of other crises situations across Nigeria. Besides that, politics is said to have an influence on all those crises because in their desperation to gain access to power, politicians often use all sort of unorthodox methods including whipping up religious sentiments among a group against another to their advantage. And where the community is already religiously divided, such sentiments may appeal to such groups without knowing that it is all a means of attracting their attention. Interestingly, the late Danbaba Suntai’s government was able to use institutional means to make sure interreligious harmony in the state. It funded the Christian Association of Nigeria(CAN) and the Muslim Council while the two bodies were able to use dialogue as a way of settling and preventing conflicts between the two religions. The two bodies have also ensured that they laiased with every new government, says Rev. Jerapiye, a former official of CAN in the state. Jerapiye, who is the National Vice President of Christian Reformed Church in Nations(CRCN) as well as Chairman, Taraba state Christian Pilgrims Welfare Board, has this to say on interreligious tolerance and the crises of the past in the state. “The society is becoming pluralistic and there should be tolerance. People should learn to tolerate each other. Differences are meant to make us live together. The diversity is a plus to us. Any society that does not have competition of views and ideas, that society is bound to fail. Our problem is, we are not so exposed and so we must belong here and anybody that does not belong here is an enemy”. He therefore advised saying, “God never made the mistake of putting people in the same family belonging to different faiths. People should be able to know why God made it that way, they should ask if it is for us to fight each other”. Also contributing, the Grand Khadi of Sharia Court of Appeal, Taraba state,Justice Ahmad Mohammed Bose, stated that the peace in the state between the two faiths was due to the cordial working relationship between the Muslim Council and CAN. He however agreed that the religious crises in the past were caused by politicians who were desperate to win. According to him, Christians and Muslims in the state had never had any problem with each other. Bose therefore, advised politicians to be careful on how they run politics saying “the best way to win is to make sure there is peace”.